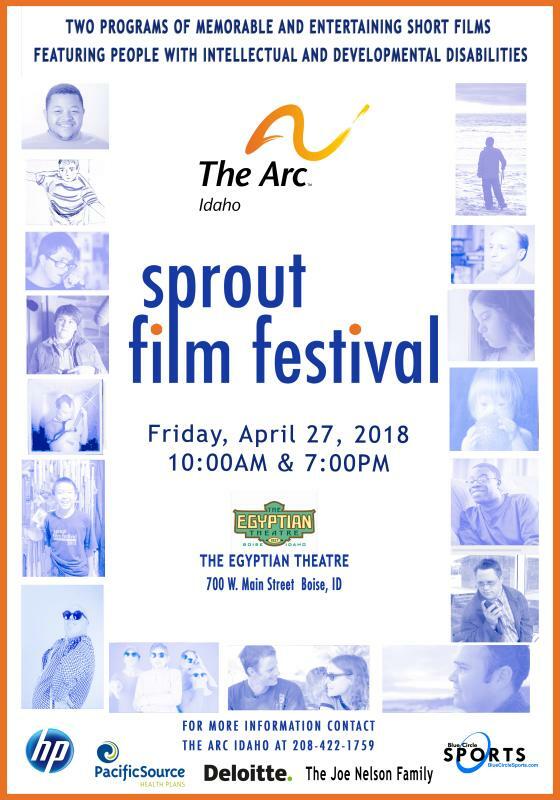 8th Annual Sprout Film Festival | The Arc Inc. The Sprout Film Festival focuses exclusively on films that celebrate the diverse lives and creativity of people with intellectual and developmental disabilities (I/DD) and strives to challenge assumptions and breakdown stereotypes. By introducing powerful, thought-provoking films from around the world to new and ever-more inclusive audiences, we hope to promote greater acceptance, celebrate difference and light the spark to help make the invisible, visible. Join us in watching some amazing films and raising awareness about people with intellectual and developmental disabilities. You won’t want to miss this inspiring, heartwarming event! Tickets are $10.00 general admission, $8.00 seniors, students, and people with disabilities. Available through The Arc or The Egyptian Theatre.